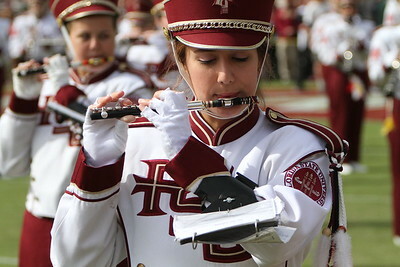 The Marching Chiefs perform pregame. 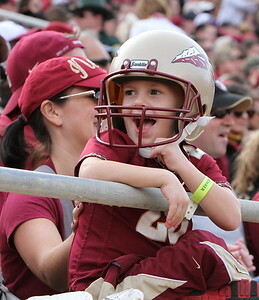 A young fan is obviously enjoying watching the Seminoles defeat the NC State Wolfpack 34-17 in Doak Campbell Stadium. 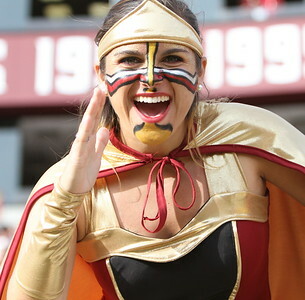 FSU fan and sorority member does the Tomahawk chop at the FSU/NC State football game on Saturday at Doak Campbell Stadium. 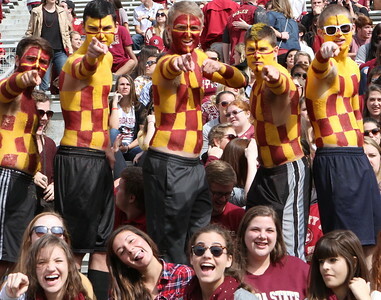 FSU students and fraternity members at the FSU/NC State football game on Saturday at Doak Campbell Stadium. 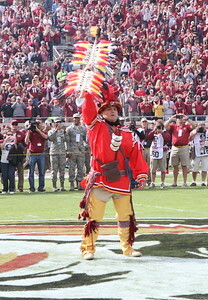 A member of the Seminole Tribe prepares to plant the spear at midfield before the FSU/NC State kickoff. 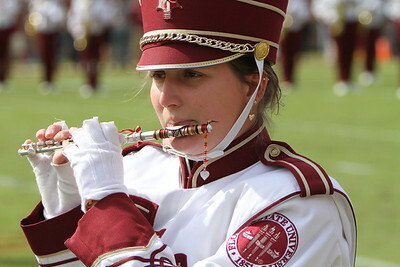 it is considered an honor. 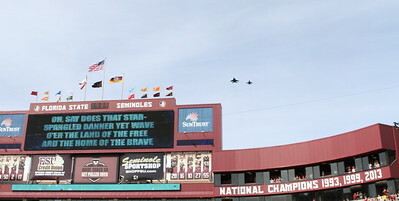 This is not Renegade. 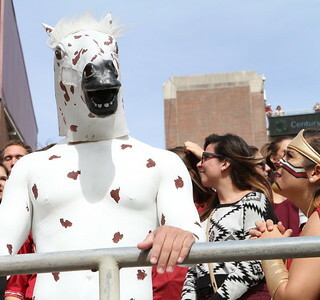 This is a very hot person in a horse suit. 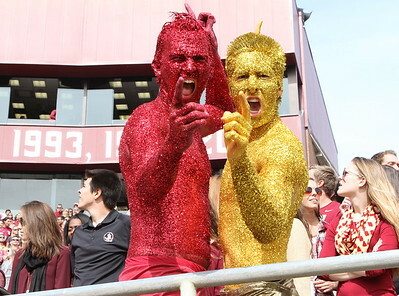 Must be a fraternity pledge. 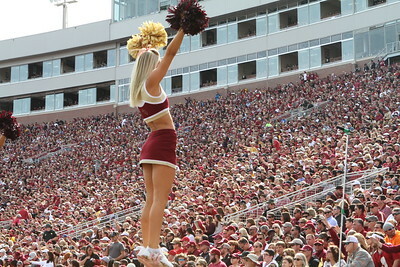 A cheerleader tries to get the crowds attention during the NC State/FSU game. 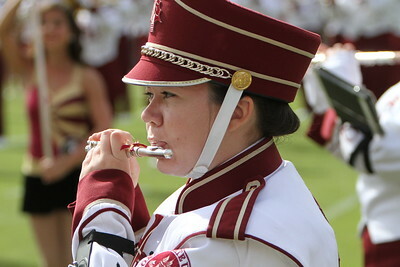 FSU Marching chiefs prepare for halftime show. 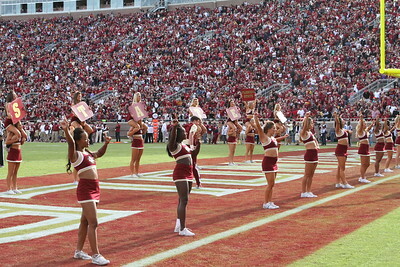 FSU Cheerleaders lead the crowd during a break in the action. 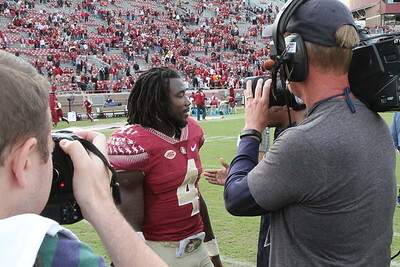 Dalvin Cook postgame interview. 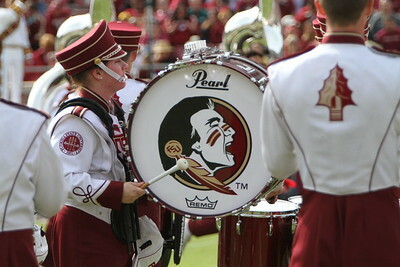 Cook rushed for 138 yards and 2 TD's in a 34-17 FSU vistory at Doak Campbell Stadium in Tallahassee, FL. 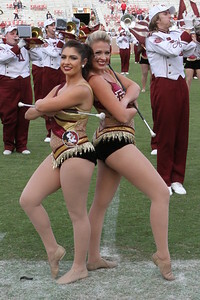 FSU Marching Chief baton twirlers perform after the FSU/NC State game in Doak Campbell Stadium. 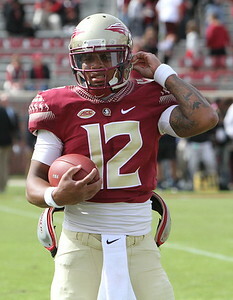 QB Deondre Francois warms up prior to the Noles taking on NC State in Doak Campbell Stadium. 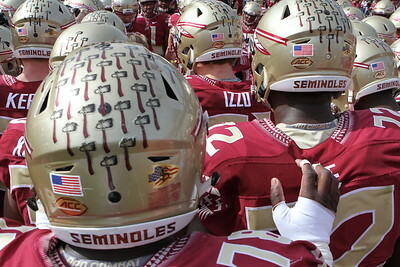 Jalen Ramsey gets his game face on. 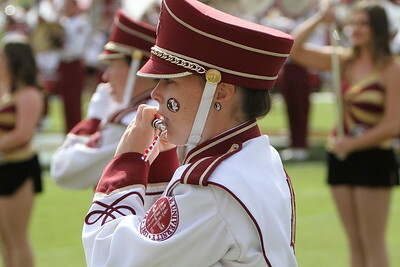 Noles DB jalen Ramsey gets him game face on during pregame warmups as the Noles prepare to face NC State in Doak Campbell Stadium. 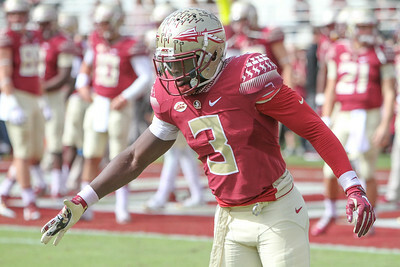 FSU RB Dalvin Cook celebrates his 2nd TD of the game as the Seminoles defeated NC State 34-17 at Doak Campbell Stadium. 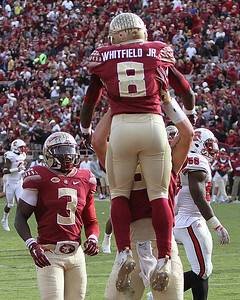 Kermit Whitfield scores the Noles final TD to put the game out of reach for the FSU Seminoles. 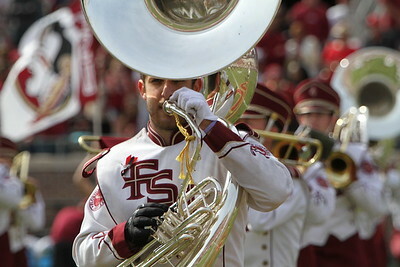 Whitfield scored his TD on a 45 yard pass reception from QB Sean Maguire as the Noles extended their lead to 34-17. 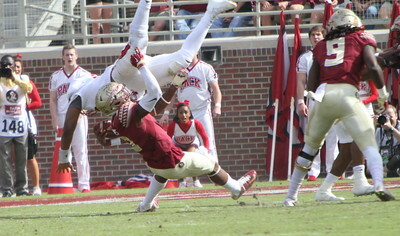 Derwin James separates Jacoby Brissett from the football. 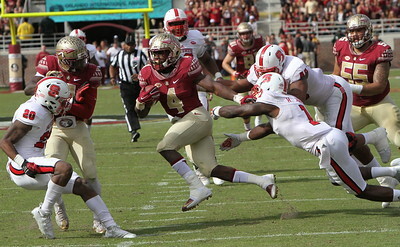 Derwin James (3) separates NC State QB Jacoby Brissett (12) from the football as the Wolfpack drive deep into Seminole territory. 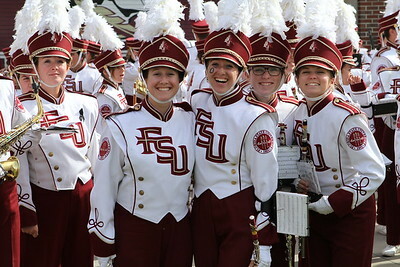 Pregame huddle as the Noles prepare to take on the NC State Wolfpack in ACC football action in Doak Campbell Stadium. 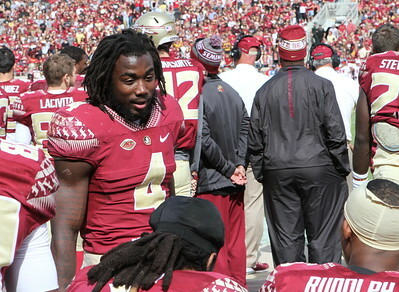 RB Dalvin Cook discusses strategy with teammates during the 3rd quarter of the NC State game in Doak Campbell Stadium. 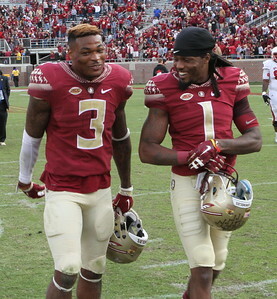 Derwin James and Ty Hunter. 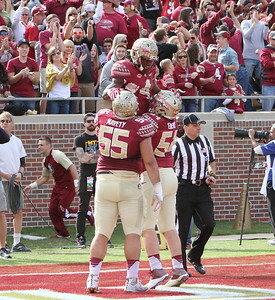 Derwin James and Tyler Hunter walk off the field happy as the Noles score a 34-17 win over NC State in Doak Campbell Stadium. 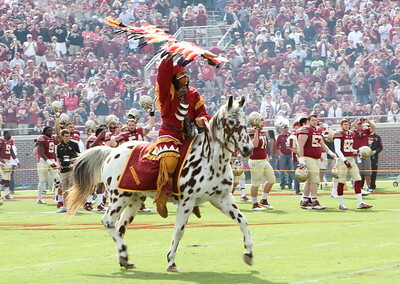 Chief Osceola & Renegade - the best pregame ritual in all of college football! 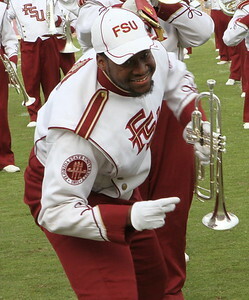 WR Kermit Whitfield celebrates the final score of the game as Whitfield scored from 45 yards out to seal the FSU victory over NC State. 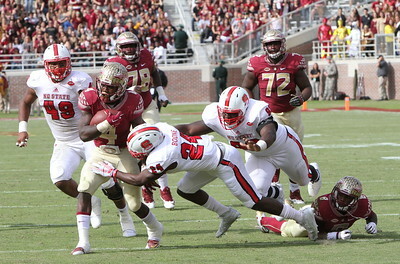 Dalvin Cook (4) runs to daylight. 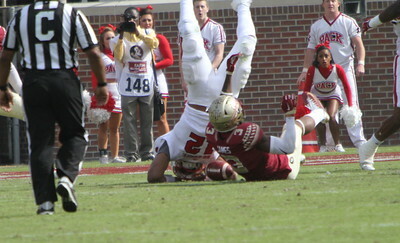 Dalvin Cook eludes NC State tackler. 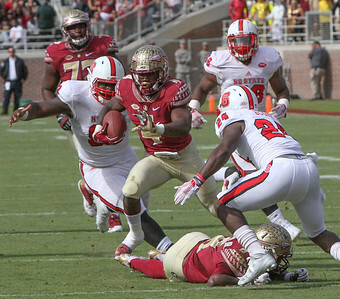 FSU RB Dalvin Cook (4) eludes an NC State tackler en route to a 138 yard rushing performance against NC State. 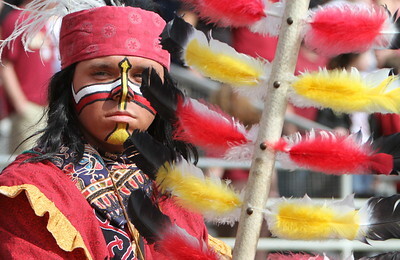 Dalvin Cook leaves behind five NC State tacklers as FSU defeated the Woldfack 34-17. 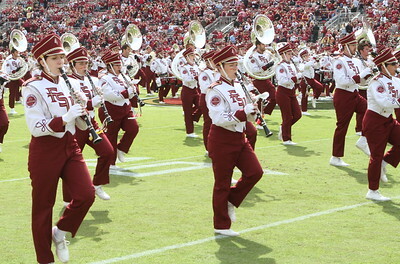 Sophomore WR jesus "Bobo" Wilson grabs seven catches for 78 yards against NC State. 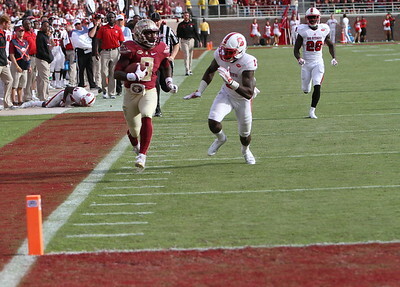 FSU RB Dalvin Cook finds an opening as FSU drives the ball vs. the NC State defense. 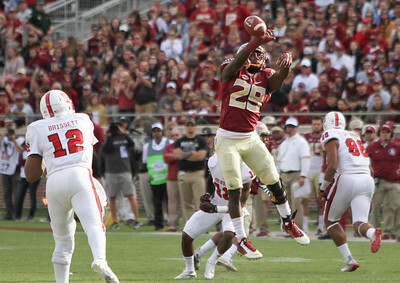 DB Nate Andrews (29) deflects a Jacoby Brissett pass at the line of scrimmage as the Seminole defense took control of the game for the final 3 quarters against NC State.